A ready for use business puppet - a cartoon pig wearing a tie, all set to be imported into Adobe Character Animator. 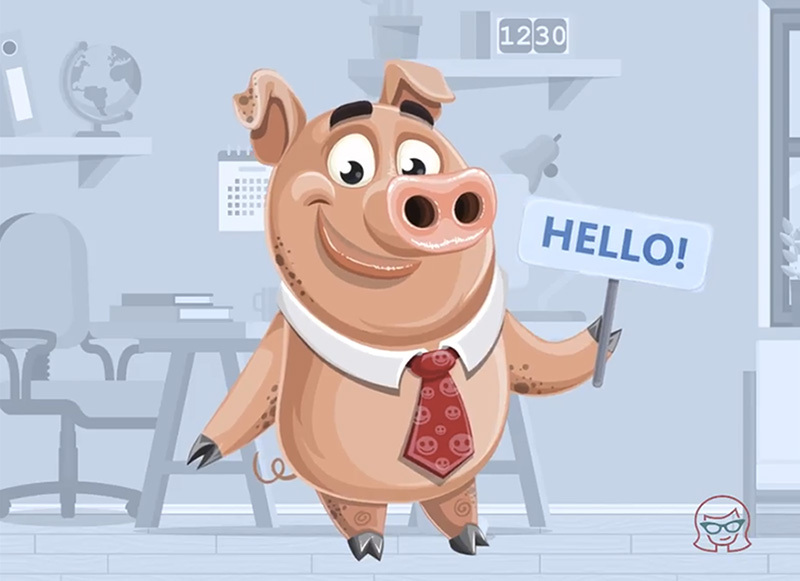 This chubby pig has all the features you need to start creating animated videos: he waves, gives thumb up, points, expresses emotions and lipsyncs while you talk on the camera. 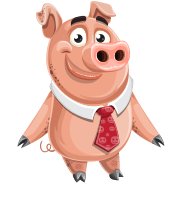 The download file comes with .AI and .Puppet file formats, so all you have to do is drop the puppet into the software and start recording.